Delgado unveils two of the greatest football players that have worn a Chief's jersey. Marcus Allen and Joe Montana. Perhaps the greatest quarterback of all time. 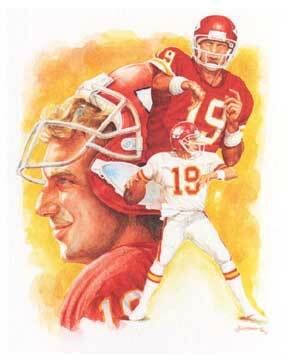 The Legendary quarterback and Hall of Famer, took the Cheifs to the playoffs in his very first year wearing #19. 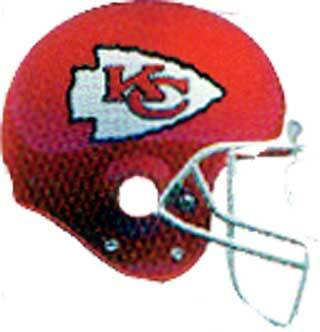 Marcus Allen a future Hall of famer, the heart of the team is beloved by chiefs fans and respected by all sport fans for his dedication and grace he showned throughout his remarkable career. Delgado was originaly commissioned in the early 1990's to create an esquisite represention of both players in a individual very limited edition series. Both masterpieces where originally unveiled in Kansas City where the artist and athelte where in attendence. Each lithograph is personally autographed by Joe Montana! Only 530 Lithographs and 68 artist proofs were ever produced. 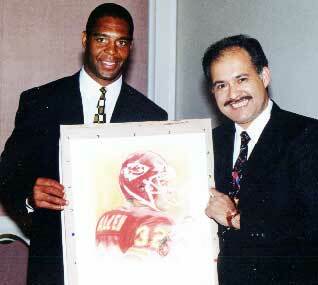 In 1994 an unveiling with Delgado and Mr. Joe Montana in attendence was held in Kansas City. The entire edition was quickly sold out in a number of days. All that remains are a handful is in the artist private collection. 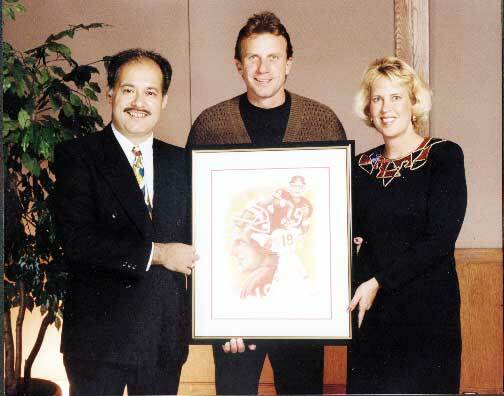 Delgado and his wife with Mr. Joe Montana at the reception. Delgado with Mr. Marcus Allen before the signing. $299.00 Limited Edition lithograph rare, signed by HOF Marcus Allen, shipping included. 599.00 KC Rare lithograph signed by Montana shipping included. The lithographs were produced in 1994. An edition of only 632 and 68 artist proofs were produced. 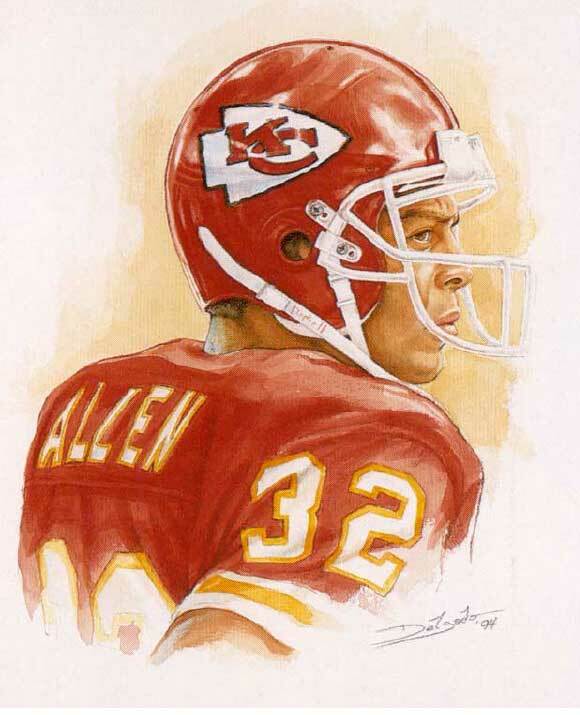 EACH LITHOGRAPH WAS AUTOGRAPHED BY THE HALL OF FAMER, MARCUS ALLEN. The few prints that are available to the public are only through the artist private stock.